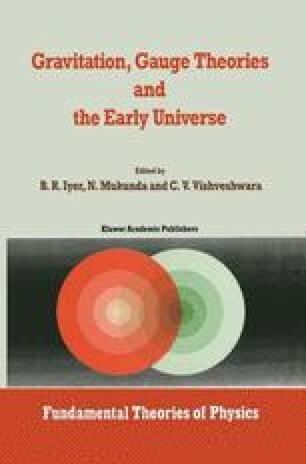 In this chapter we briefly introduce the Friedmann-Robertson-Walker (FRW) model of cosmology and discuss some of its difficulties, like the horizon and flatness problem. We then describe the inflationary model of Guth (1981)  and its modified version — the new inflationary scenario which attempts to solve these problems with some success. The Coleman-Weinberg potential  which is necessary for the slow phase transition, is also introduced in the context of grand unified theory of elementary particles (SU(5) GUTS).